In 2018 MAX unveiled the Artist Matching Engine (AME), the most advanced tool ever created for brands to tap into the power of music — mapping the demographic, psychographic, and geographic attributes of any audience to the music and artists that most appeal to them. MAX's CEO, Nathan Hanks, was named to both Billboard's Branding Power Players, and Digital Power Players lists, and MAX added some rock'n roll to our swagger when former Rolling Stone executive, Michael Provus, was brought on to head up MAX's brand partnerships and growth initiatives as Chief Revenue Officer (CRO). MAX also launched On The Record, a live music event series hosted on the MAX HQ stage designed to highlight talented artists and the great music they make. Throughout the year, MAX was covered by publications like AdAge, Billboard, MarketingDive, The Drum, MediaPost, Ad Exchanger, brandchannel, DMNews, GeoMarketing, and Dallas Observer, and MAX leadership was quoted in a number of articles in publications like Forbes and the MIT Sloan Management Review. Last, but certainly not least, the MAX team has continued grow — we've added more than a dozen new faces at our HQ in Frisco, TX, we've expanded to a larger office in Los Angeles and have continued to expand our teams in New York and Chicago. Through the power of new music and authentic artist stories, MAX helps our brand partners connect with their targeted audiences in a more meaningful way - delivering their message through the voice of artists across video, audio, social, digital, and exclusive live experiences. 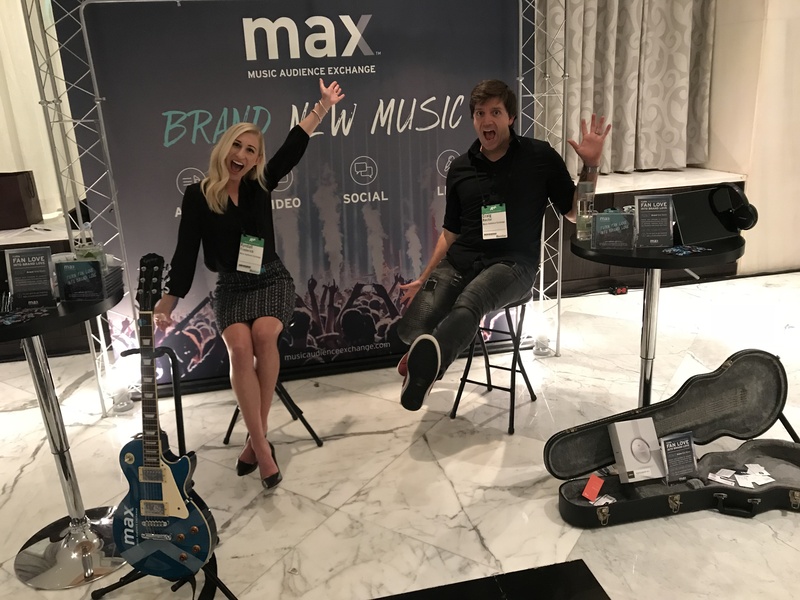 In 2018, MAX executed 49 branded music campaigns, promoting the music and stories of 45 artists, and delivering half a billion music moments to fans for some of the most widely known brands — including Ford, Canon, Coors Light, Dr Pepper, US Cellular, Snapple, and Honda. Music is the cultural thread that defines the unique qualities of a community and brings them together. When it comes to understanding cultural nuances of audiences, nobody does it better than MAX. 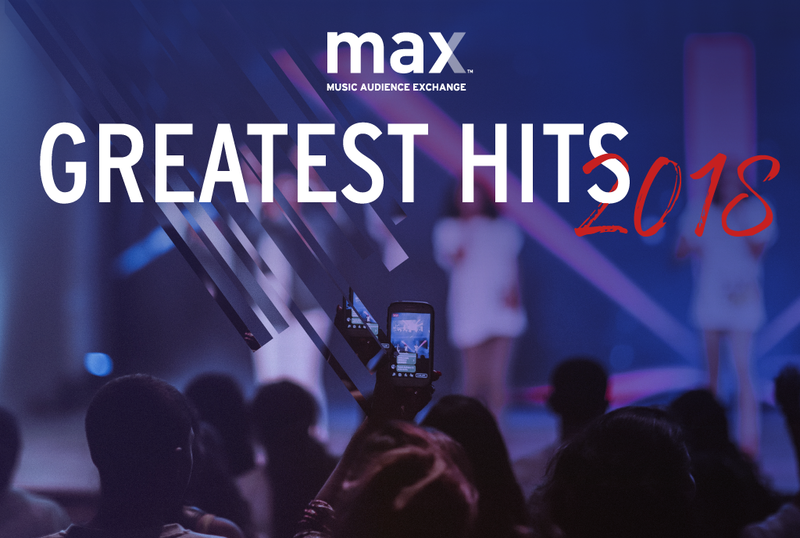 In 2018, MAX helped marketers tap into the power of music to have a more authentic and culturally relevant conversations with multicultural audiences. In fact, 71% of the campaigns MAX executed with our brand partners in 2018 were with multicultural artists — 40% of artists were Hispanic, and 24% were African American. With MAX, our brand partners do more than just great marketing, they are helping the next generation of talented artists break through and make their mark on the music industry. In 2018, MAX created 95 custom videos (brand videos, music videos, live show videos, etc.). In totality, these garnered 31 million targeted views, and more than 78 million total minutes watched. Music fans spent, on average, 2:32 of their time watching videos of their favorite artists. This number is 2.76x higher than the industry benchmark. Why? Because we work with brand partners to create videos that put influential artists at the forefront (rather than simply putting their music in the background). In 2018, MAX delivered over 280 million impressions across social, gaining more than 36 million engagements — earning our brand partners a 12.98% average social media engagement rate, which is 11.7x higher than the industry average. MAX gives artists of all sizes access to mainstream audiences through the support of brands with our music promotion model. In 2018, our unique approach to audio (that brings the music to the forefront, rather than the background), delivered more than 49 million premium streaming audio impressions with a streaming engagement 2.5x higher than typical streaming ads. Almost every campaign includes live fan experiences — live shows, branded events, artist appearances, VIP meet & greets, or an experiential activations around existing concert or festival performances. MAX executed dozens of live fan experiences in 2018 that garnered more than 135k sweepstakes registrations and hundreds of fans winning opportunities to meet the artists they love so much — check out below video from the Canon / Mat Kearney live activation, which was one of our favorites! If you find yourself in Austin gettin' weird during SXSW, come hang out with us again at the Brand Innovators house, and stick around through the week to see Maxwell Zotz, Director of Artist Relations at MAX on the official SXSW stage for his panel discussion — Metrics and Authenticity: The Keys to Brand Partnership Consideration. Whether you are an artist seeking brand partnership opportunities or a marketer wanting to know what you should be looking for in an artist, this is a panel you shouldn't miss. We’ve renewed our memberships in a number of important industry organizations that are committed to innovation, diversity, inclusion, and the advancement of better marketing practices. We’re proud to enter 2019 as members of the ANA, IAB, Music Business Association, and Open Music Initiative, and are pleased to announce that we have recently joined AIMM (Association for Inclusive and Multicultural Marketing). Wanna know what's in store for MAX and how that effects the music marketing space? Hear from Michael Provus, former Rolling Stone executive and new MAX CRO, on his outlook for 2019. We had the pleasure of working with so many different artists, brands, agencies, and publisher partners last year. It was a fantastic year, and we’re looking forward to what 2019 has in store. Don't forget to subscribe to keep up with news, articles, events, and updates on all things MAX in 2019!